I came up with this article and just thought to share.. Enjoy! Ready to let your design style take flight? Here are 6 recommendations I really love from around the world. 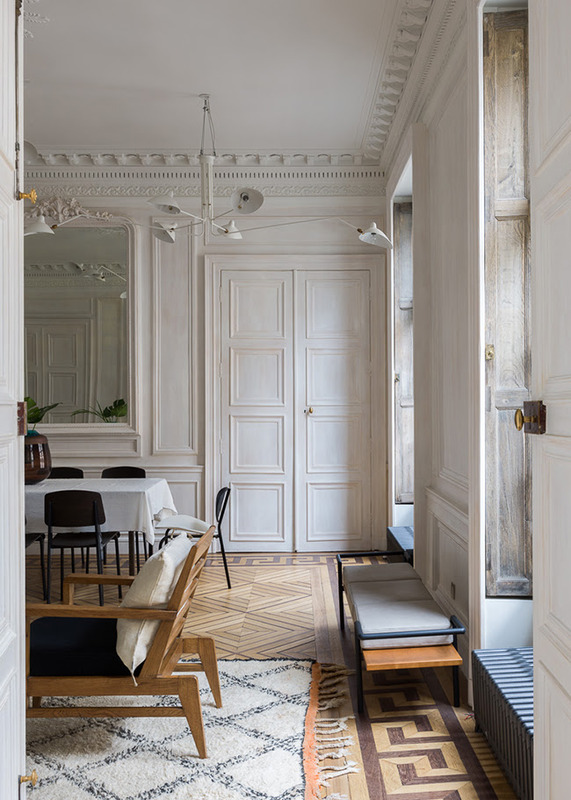 Dramatic ceilings, architectural detail, herringbone floors and an ornate mirror — usually gilded gold, but in this case white — are the ingredients for a Parisian interior (a Serge Mouille chandelier is also a staple). This Haussmannian stunner was designed by Paris-based Studio Razavi, and can be emulated much more modestly. Pick up a Beni Ourain area rug, gold mirror, Mouille-inspired fixture, add panelling and you're well on your way. Do you have a good relationship with the proprietor of a plant shop? No? Well, forge one stat because you'll need an armload of hanging plants and a big fat cactus to start your journey to Palm Springs nirvana. 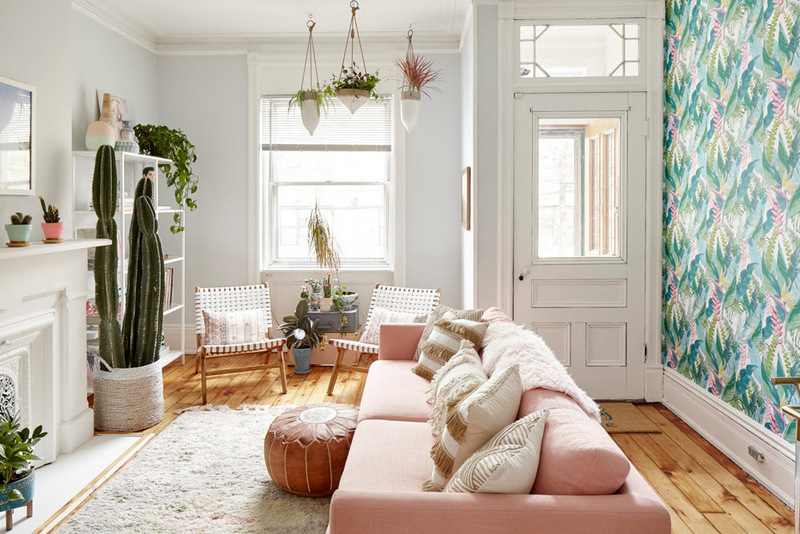 Created as part of the One Room Challenge by Philadelphia interior designer Michelle Gage and stylist Natalie Jacob (this is her pad), this boho living room is one of our favourites. It's so inviting! We're crushing on the pink sofa, happy wallpaper, leather pouf and cross-hatched chairs. Find out more here. Note: Most of the pieces are from affordable retailers. Comfort meets elegance in this lovely Victorian farmhouse in Wiltshire, England, designed by London-based interior design firm Taylor Howes. 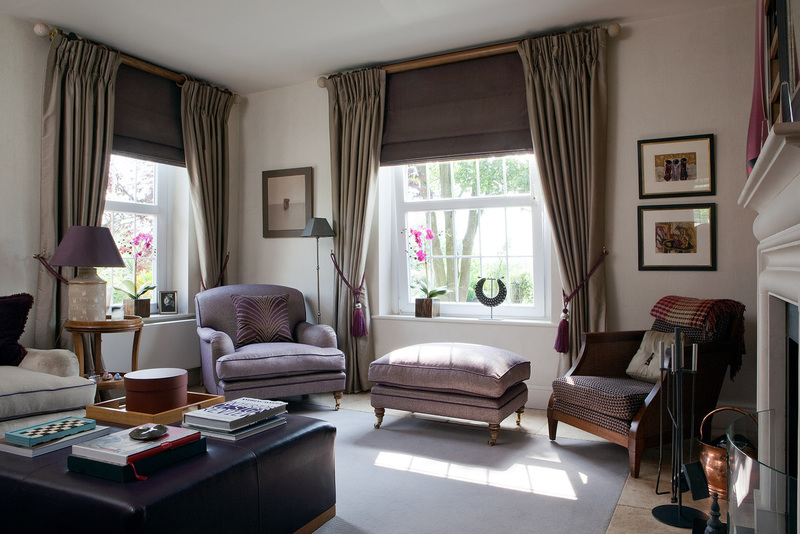 Soft mauves, wide wingbacks, a leather coffee table and sumptuous gathered drapery are key elements to the look. It feels almost wrong to use a smartphone in this room — settle down with a book, instead. We love how the designers wove in purples and blues throughout the traditional-meets-today design, seen here. 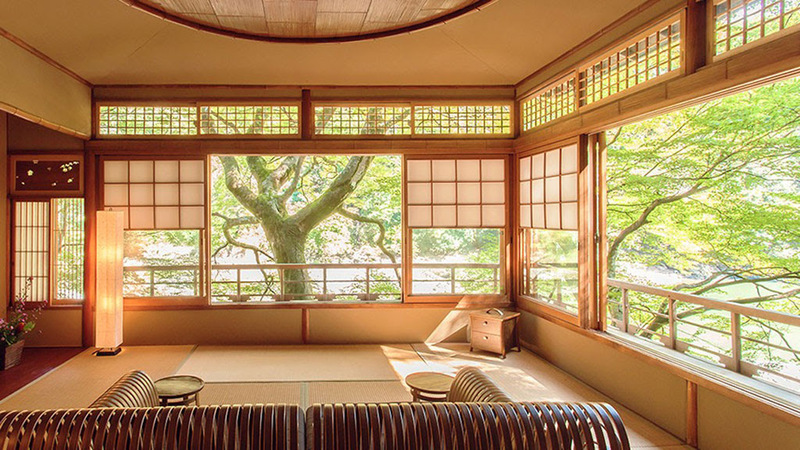 Japanese design is centred around tranquility, so put the tchotchkes away and follow hotel Hoshinoya Kyoto's lead. The riverside resort features perfectly preserved scenery and architecture that has been defined by silence, beauty and luxury for centuries. While your own living room may not have a view of lush greenery, you can adopt the country's decorating principles. Start with one basic rule: Kill the clutter. 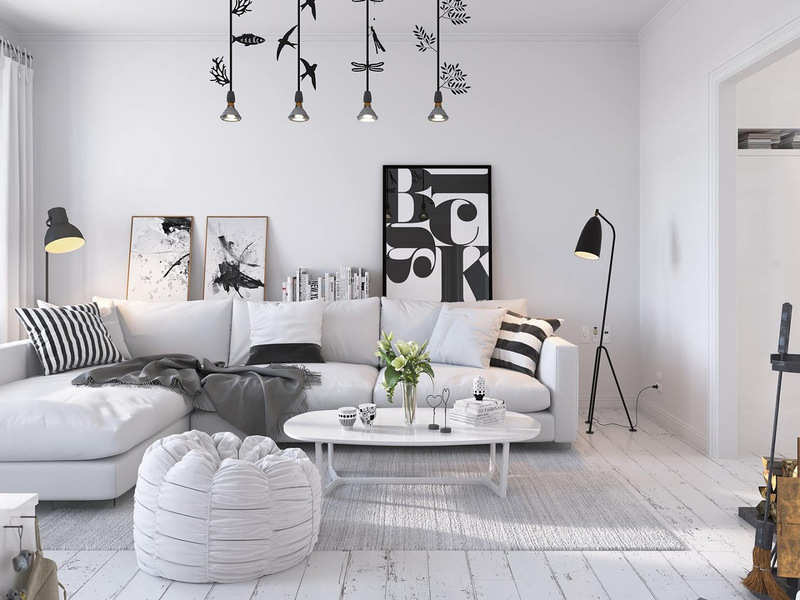 Next, create a monochromatic palette, add wooden elements, low seating and glass-panelled sliding screens. Moroso has been manufacturing high-end Italian furniture since 1952. There isn't a cheap way to replicate this look, especially since it's Patrizia Moroso's own living room (she's the company's art director and a family member). But you can get into the Italian spirit by shopping for a sofa with the same lines. Weave in a mix of velvet and satin pillows, select sculptures and bowls with pretty silhouettes, and don't forget the rug. Slowly, grasshopper, slowly. You'll get there.